In a surprise move, Victor Caratini made the Cubs 25 man roster. As a result, Caratini’s inclusion for opening day allows the Cubs the ability to snag up someone else who could get cut in the next couple of days. The 40 man roster stands at 38 with Gimenez going to Iowa. The big hitting star of the week was none other than Kevonte Mitchell who hit a grand slam. Other players who had good weeks included Vladimir Galindo, Fernando Kelly, PJ Higgins, Austin Filiere, Jhonny Bethencourt (whose bat I really like), Bijan Rademacher, Luis Hidalgo, and Christopher Morel. On the pitching side, it looks like Jose Paulino might be back to 2016 Jose and Oscar de la Cruz, even though he will start at Myrtle Beach, seems to be unhittable in every outing. Erich Uelmen, Manuel Rodriguez, Jesus Camargo, and Keegan Thompson all were outstanding this week. The affiliate previews are slowly being built on my end. Iowa and Tennessee are, for the most part, done. Myrtle Beach and South Bend should be finished sometime after breakfast this morning. I am still waiting for the starting pitching rotations to gel and be assigned. Arizona Phil described the dilemmas in this comment the other day on The Cub Reporter. IOWA: Tseng, Mills, Farrell, Zastryzny, and Underwood have the inside track right now, with Roth and/or Camarena (and perhaps eventually Bass) in the mix as piggy-backers or swing-men. Hedges, Pugliese, and Markey have been used only as relievers so far. Webster, Hultzen, and R. Williams are in the Rehab Throwing Program and almost certainly will be left behind at EXST. TENNESSEE: Alzolay, Clifton, Hatch, and Robinson virtual locks, with Rucker, Kellogg, and/or K. Miller competing for the 5th slot (the other two could be piggy-backers/swing-men). Morrison, Bloomquist, and Perakslis have been used only as relievers so far but could possibly be piggybackers/swing-man (but not rotation starters). MYRTLE BEACH: de la Cruz and Paulino are virtual locks, with Hudson, Moreno, Lange, Thomas, Thompson, T. Miller, and/or Swarmer competing for the other three slots and probably two piggy-back/swing-men slots. A couple could get moved-down to South Bend by the end of Minor League Camp. Leal and M. Rondon are in the Rehab Throwing Program and will almost certainly be left behind at EXST. SOUTH BEND: Albertos, Little, Uelmen, Abbott, Assad, Camargo, and/or B. Clark are competing for five slots, with the additional possibility that a couple of the Myrtle Beach SP candidates could move down to South Bend by the end of Minor League Camp. That’s a lot of starters competing within the organization for pitching time. That’s a good problem to have. It should all be sorted out by next weekend as my affiliate previews are scheduled to begin rolling out on April 2. In sad news, pitcher David Garner was suspended 50 games for testing positive for a drug of abuse. He was scheduled to be at Iowa this year. 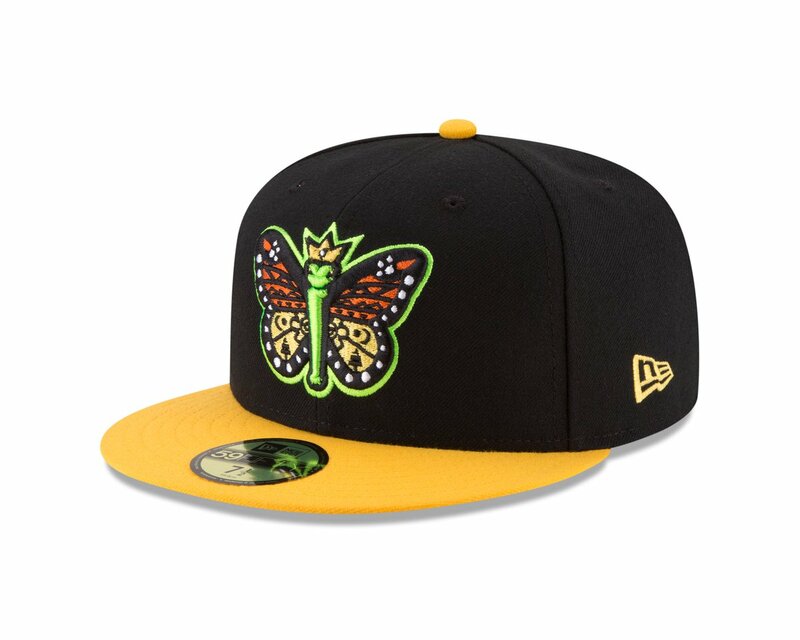 In one of the coolest things I’ve seen this offseason, the Eugene Emeralds announced that they are taking part in Major League Baseball’s diversity program, “Copadela Diversion.” As a result, every Tuesday home game during the short season team’s schedule (June 19th, July 3rd, July 17th, July 24th, August 14th), the Emeralds will be known as the Monarcas de Eugene. I really like that hat as it has a lot of little bit of history embedded in the logo. The Ems/Monarcas enlisted some former players to break in the new hats. Justin Montgomery gets profiled tomorrow on Draft Prep Monday, Bryce Montes de Oca get his day in the sun on Tuesday, and I also will talk about a wave of Latin Cubs coming stateside later this week. On Saturday, the “Baseball Cards of Spring” get some love. For the first time in a couple of years, I don’t have a lot planned for spring break. It is going to be nice to focus mostly on baseball, touching up my affiliate previews, doing a few things in the yard, basement, and garage while adding a few more resources for my unit on the Vikings for my world history classes.